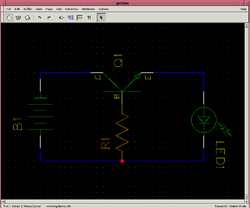 0 file elements and 4 m4 elements added to demo.pcb. 1. 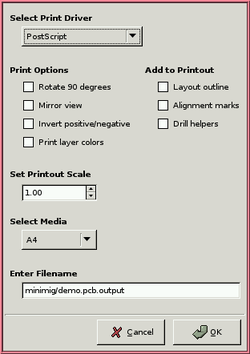 Run pcb on your file demo.pcb. You will find all your footprints in a bundle ready for you to place. Print the result as Postscript or Gerber files. This page was last modified on 31 July 2007, at 05:46.